It’s finally arrived! 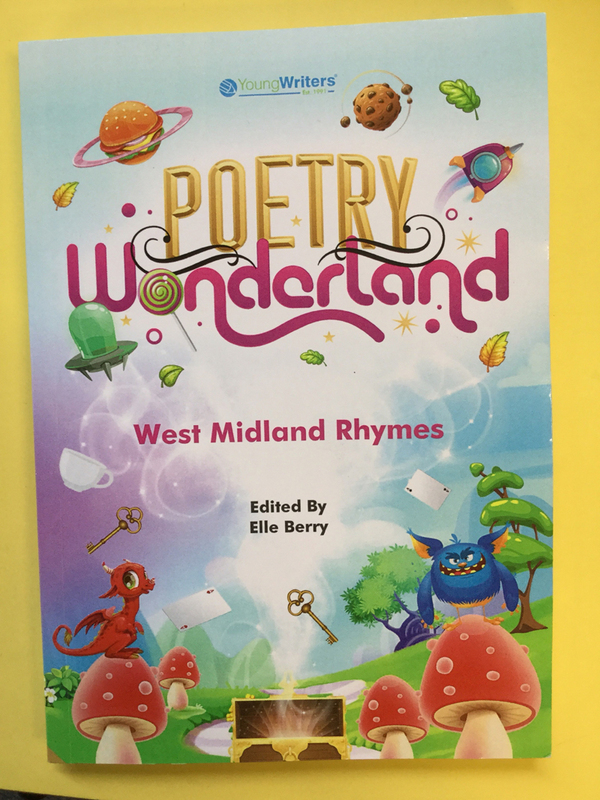 Year 4 have received their Poetry Wonderland book with all of their published poems inside. 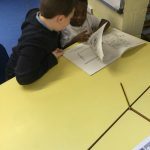 Well done year 4, they really are great! Year 4 Robins looked at landscapes again this afternoon. They looked at some examples and discussed it was how people could see what other places looked like before photographs were invented. 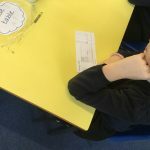 Year 4 looked at a number of different examples where it was easy to see what time of year it was. Bright colours captured a summer, sunny day. Dark colours and a black sky showed a stormy landscape. The class then recapped the “vanishing point”. After a quick demonstration the children began to sketch out their landscapes…these will be worked on again later this week. Well done year 4 it was lovely to hear all about your weekends and how you’re feeling about the week ahead. This morning, Year 4 had a special visitor – Sandra from HSBC. She showed the class how to complete a paying in slip for a bank account! 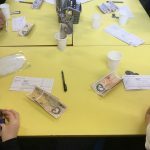 The children all had their own pot of money and a slip to complete. 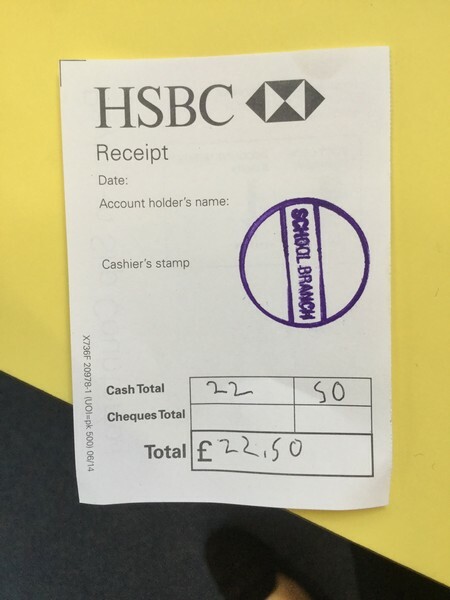 They were taught how to record the money onto the slip, what information to put where and how the bank stamp the slip twice. One part of the slip is kept by the bank for their records and the other part is a receipt for the customer. 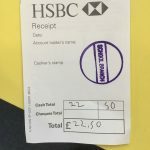 The children then had an opportunity to ask Sandra any questions they had about the bank or the paying in slip itself. The children had a great time and really enjoyed learning about the bank! Thank you Sandra from all of year 4! This afternoon, year 4 spent some time looking at photos from the past of the local area. The children really seemed to enjoy looking at these and were straight away making comparisons to what it is like now. We then had a discussion starting with what we saw in the photos, before moving on to how things have changed. The children spoke lots about how they think the local area looks a lot neater now than it did before and seems to be more looked after. 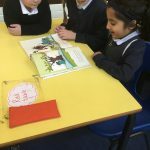 Year 4 had a great time sharing their books with Year 1! 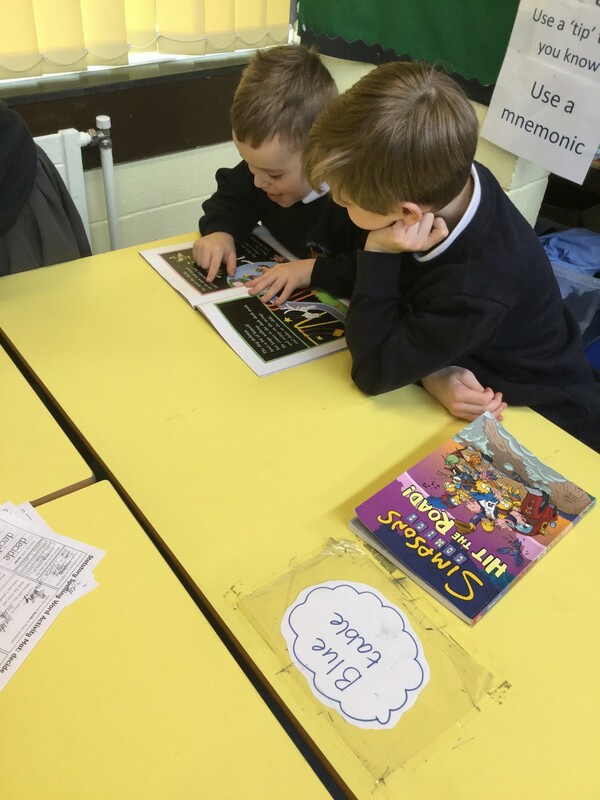 They were really good at helping them to read tricky words. Year 4 have started to look at the history of the local area. We have started off the week looking at names of the local area and where these names originally came from. 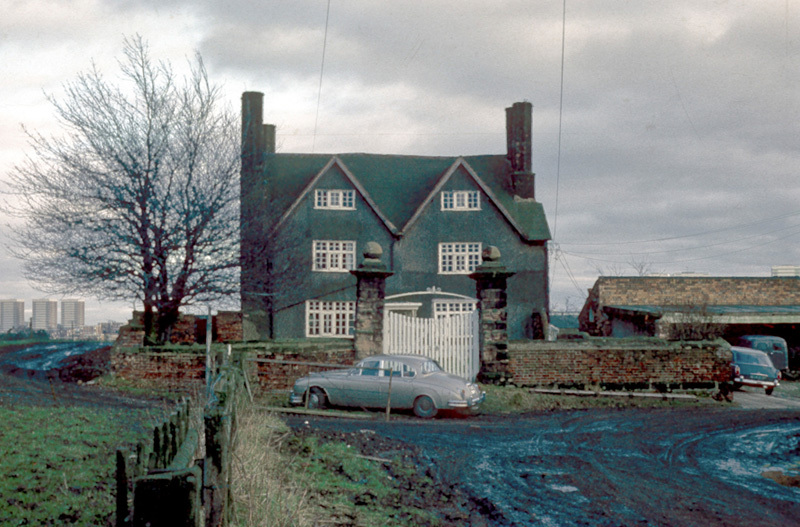 We discussed Bells Farm, Druids Heath and The Maypole and even looked at pictures of these places from the past! The children’s job was to compare these photos to what the places are like now. 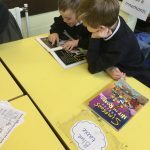 The children found this lesson very interesting and can’t wait to find out more!